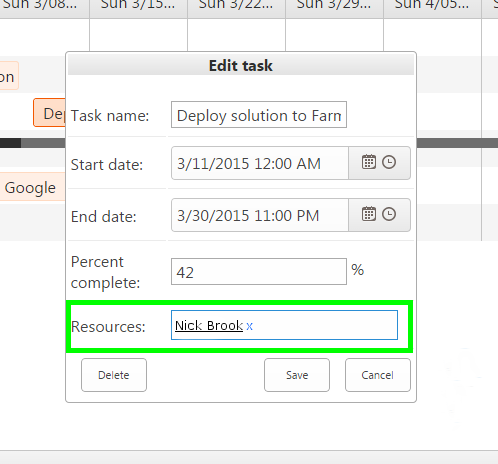 Users assigned to a task are displayed near corresponding tasks in the chart, if this column added to data source view (see app settings to adjust). Users will be taken from SharePoint list. To assign a new user, just double click task and select required user. The same changes will be done in SharePoint list.